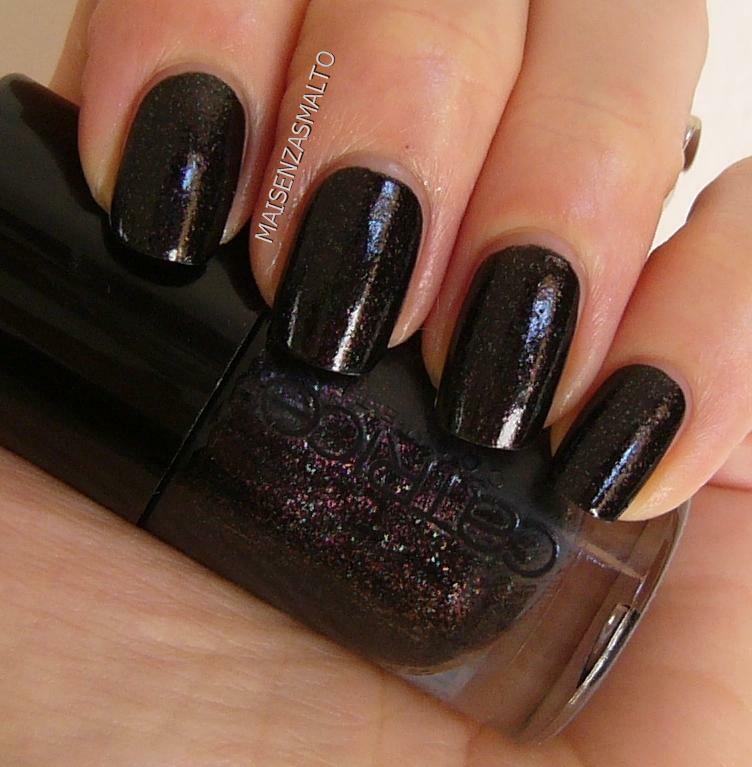 I bought this polish after having read a review from the Italian blogger Theallamenta (I agree with her on useless “black on black” label), this polish seemed so charming! 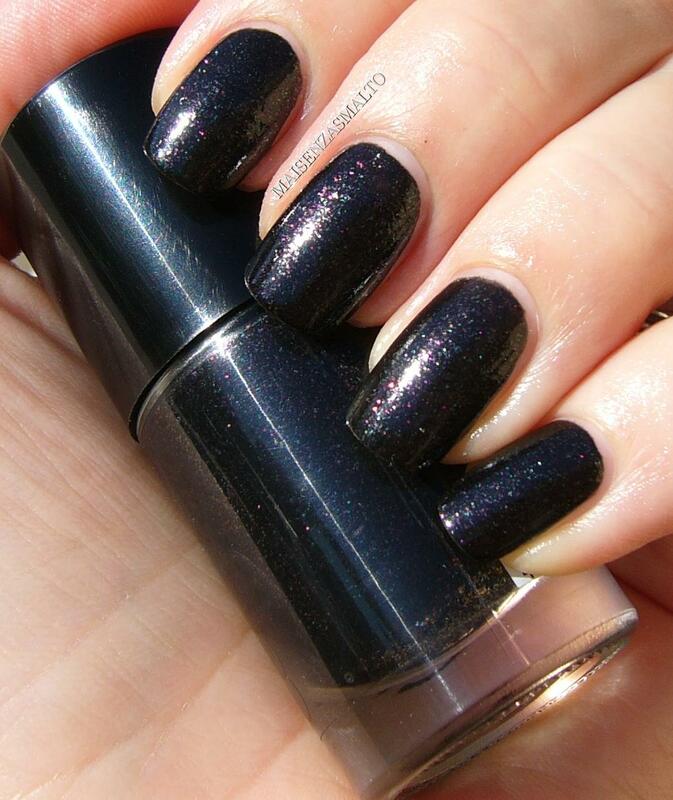 Concept is simple but effective: a black polish with pink, green and perhaps orange mini flakes (or maxi shimmer). 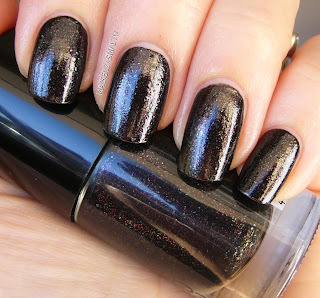 Nice application, polish is fluid but not too runny and it's perfect in two coats. Really gorgeous under direct sunlight! 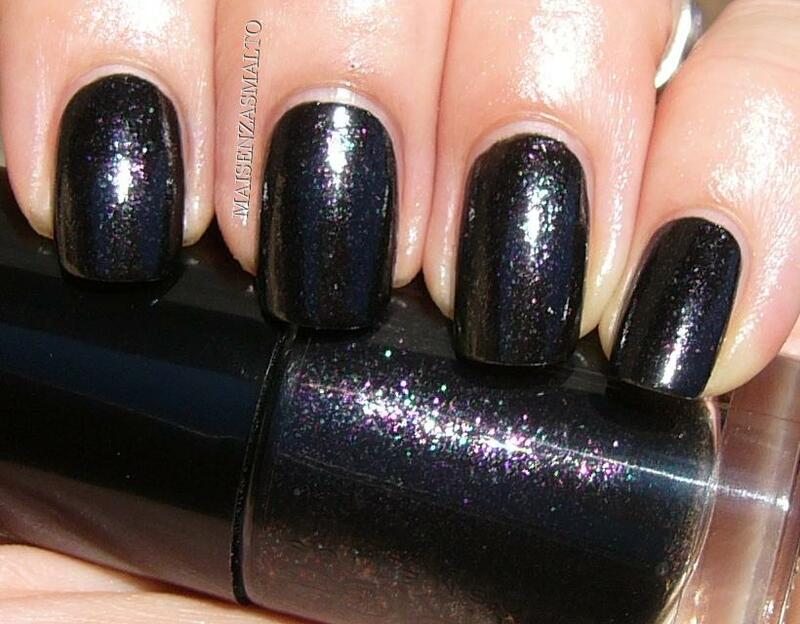 Ho preso questo smalto dopo averlo visto sul blog di Theallamenta (concordo con lei, le scritte nere non sono per niente leggibili), mi è sembrato irresistibile! Il concetto è semplice ma efficace: nero con mini flakes (o maxi shimmer) rosa, verdi e forse arancio. Stesura buona, non troppo liquida, coprente in due mani. NOTD: Essence NATventURista TE - 04 Chirp, Chirp!